Had a look at the remains of two pillboxes this weekend on Dingle Marshes, Dunwich. The remains are of two 'Suffolk Square' type pillboxes and in 1940 were the left hand boundary of 'B' Company, 2/4th South Lancashire Regt. Dunwich would have been a key locality to defend as here was an exit from the beach (along with Walberswick further to the north) that any German troops landing in the area would need to seize. 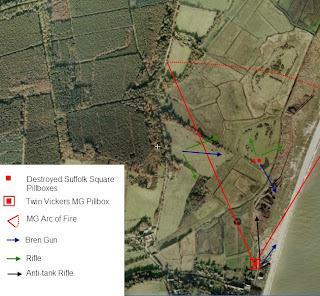 To the north of Dunwich the low lying marshes had been flooded as an anti-tank obstacle and to the south Dunwich cliffs provided a natural anti-tank obstacle. The 'front line' at Dunwich in 1940 was defended by three sections of 'B' Coy with medium machine gun support from the 2nd Battalion Princess Louise's Kensington Regt. The remains of the pillboxes would suggest they were sunk into the ground at almost embrasure level. They have been reinforced and the local resource, shingle, is clearly evident in their construction. I am not sure when they were destroyed - either it would have been post war clearance (however not likely given their location and they would not have been in the way of anything) or as part of training during the war. 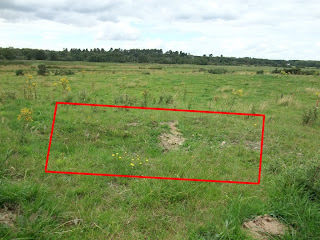 If it was part of training perhaps it was Assault Engineers from 79th Armoured Div again (they certainly blew up structures in the Westleton area which I've already blogged on) or perhaps as part of the new battle drill training for assault on pillboxes. I could not find much evidence of any supporting earth works with the exception of one probable weapons-pit which, if it is, was sited to cover the rear of the position. Other remains in the area include the shell proof twin Vickers mg pillbox and some anti-tank cubes incorporated into the sea defences, which I have also blogged on previously. Finally thanks to Suffolk Wildlife Trust for permission to visit the remains on their Dingle Marshes reserve. Image 4: One of the destroyed pillboxes, the remains of the chamfered blast wall clearly visible. Another visit to Shingle Street recently, to take another look at some concrete road ways which I think are military. On my last visit to TNA I came across a document which may explain their purpose - for shingle extraction. There was an increasing need for ballast in 1943/44 due to the construction of new aerodromes for USAAF bombers and fighters and also for repairs to existing runways. The Air Ministry had been drawing ballast from Shingle Street to meet this priority work and in July 1944 wanted to open up further pits. This required opening up a gap in a minefield in the vicinity of the tank blocks between the two most northerly Martello Towers (the blocks still survive). 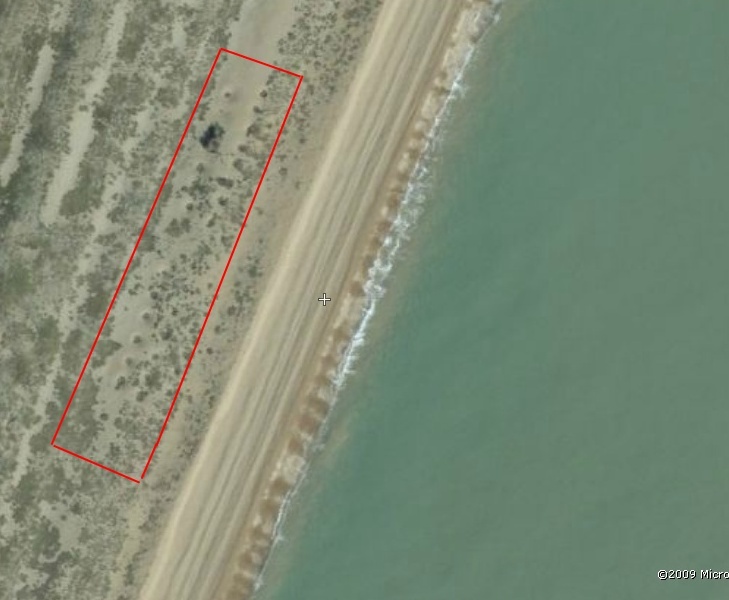 Eastern Command carried out a recce of the beach and concluded it would be necessary to clear all five minefields in the area before shingle extraction could continue as further shingle extraction would result in disturbance of the minefields. It was estimated that it would take one platoon of Field Company RE's three months to clear the five minefields. Eastern Command only had one Bomb Disposal Company available, which were on a course of Company Training. 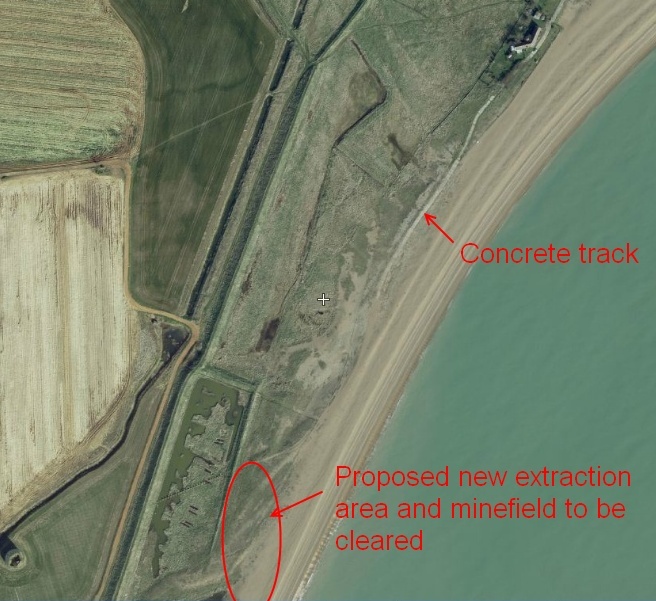 Top two images show the track south of Shingle Street. 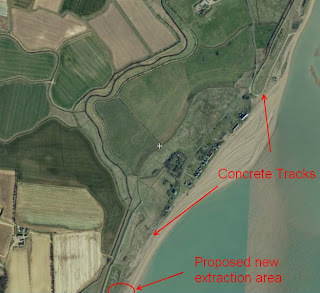 Bottom two images show track to north of Shingle Street which was reinforced. The Air Ministry Superintending Engineer considered that only a path had to be cleared to allow for the construction of 10 ft roadway. The plan was to take only shingle brought up by each successive tide. 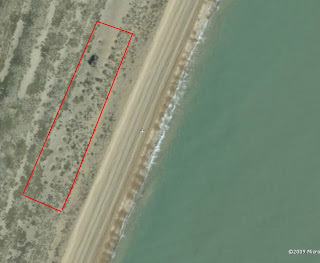 The Air Ministry was working in consultation with various other bodies including the Coast Guards and East Suffolk Rivers Catchment Board, who were very concerned about the danger of coastal erosion. On Aug 8th Eastern Command stated that to clear the pathway for the track would only take 14 days (although still maintained that all five minefields would need to be cleared) and the available resources to do this were now available if the Air Ministry were willing to accept the risks. Above: The tank blocks which were in the location of the proposed new shingle extraction area and minefields to be cleared. Note remains of barbed wire screw pickets in bottom photo. On Aug 12th the Air Ministry stated that in view of the circumstances they would not be proceeding with the scheme. While I think these tracks are military and if so probably constructed for shingle extraction, it should be remembered the military were present from the start of the war. The Regional Commissioner ordered the evacuation of Shingle Street on Jun 22nd 1940 - necessary as the beach had been mined, ditches widened to form anti-tank ditches and the bridge at the Dumb-Boy sluice mined to be blown in the event of invasion. If invasion occurred in the area the village would soon be completely isolated. A combined high explosive / chemical bomb was dropped during a test on Mar 23rd 1943 and on at least one occasion trails with Duplex Drive tanks (nicknamed the Donald Duck tank) were carried out by 79th Armoured Division. Above: Duplex Drive Valentine tank. Although the DD tanks that took place on D Day were Shermans, they were originally fitted to Valentines and 79th Armoured Division training would almost certainly have been carried out with a Valentine. South of the tank blocks I came across a series of linear depressions in three lines - are these remaining evidence of the minefields in the area? (perhaps mines that had exploded for some reason and not replaced). Reminds me of the similar series of depressions at Minsmere Dunes. 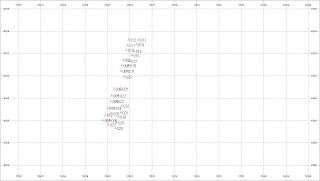 Above: The lines of linear depressions clearly show up from the air. 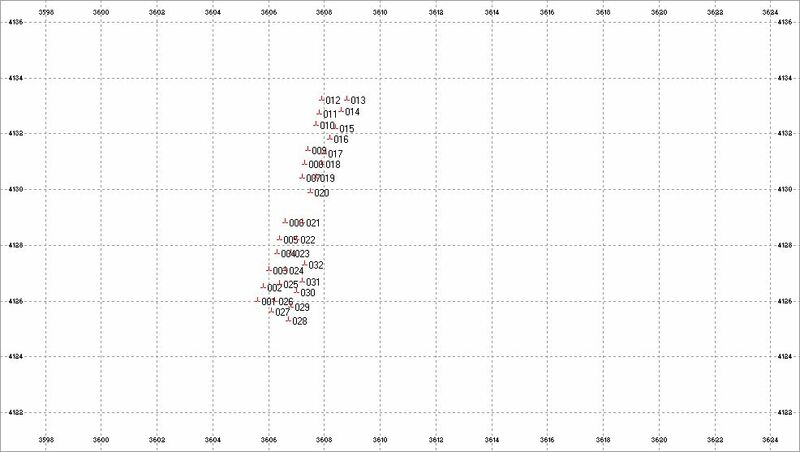 Bottom image shows GPS plot.